Skilled craftsmen and modern design come together in every Chandra rug. Chandra is big on modern design and also big on humans. 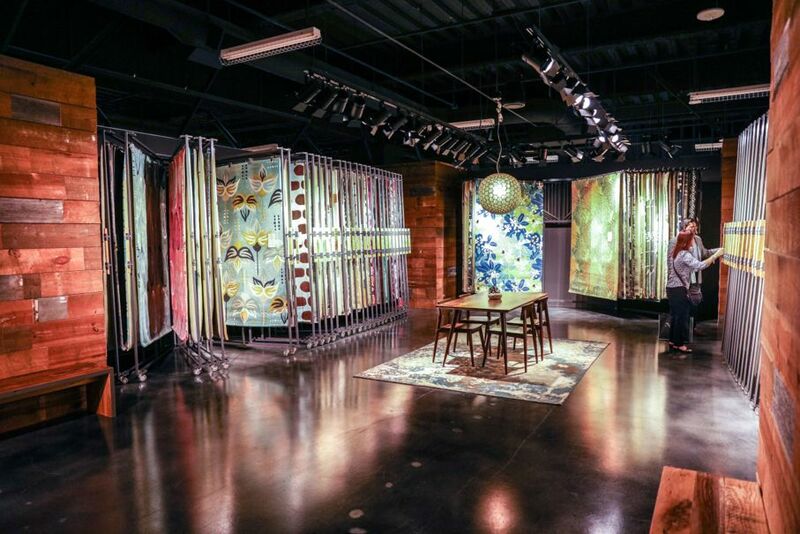 It’s a winning combination that means not only colorful and design-intense rugs, but those of the highest quality, as House Tipster’s Media Team was to discover at Las Vegas Market. “We’re a small family-owned and operated business…We’ve been producing rugs for probably about 40 years,” said Ravi Tiwari, co-founder and vice president of Chandra, based in Georgia. 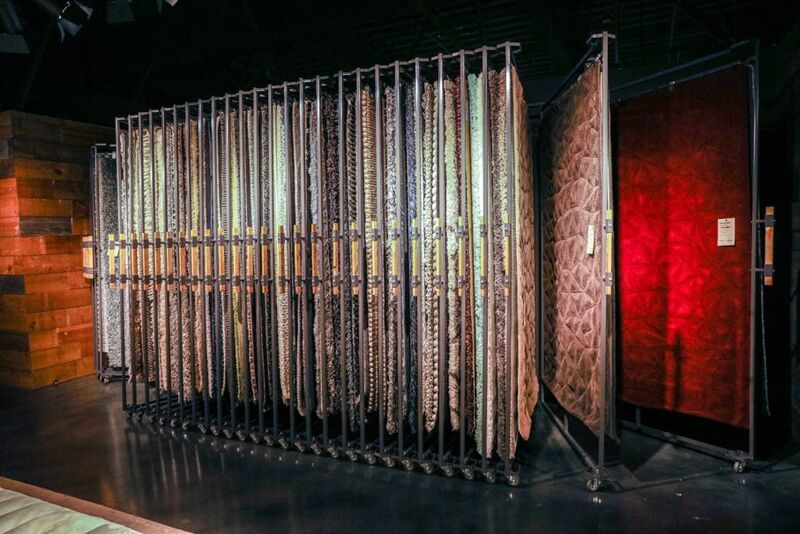 What makes Chandra really special, he said, is that everything at Vegas and in its extensive rug collection is the work of skilled artisans. Chandra is known for its ultra-pure New Zealand wool in artsy designs and colors that are a great hard-floor accompaniment in any room. We especially like the Inhabit line with its florals in shades like green, blue, tan, black, and gray, capitalizing on the floral trend in home décor. 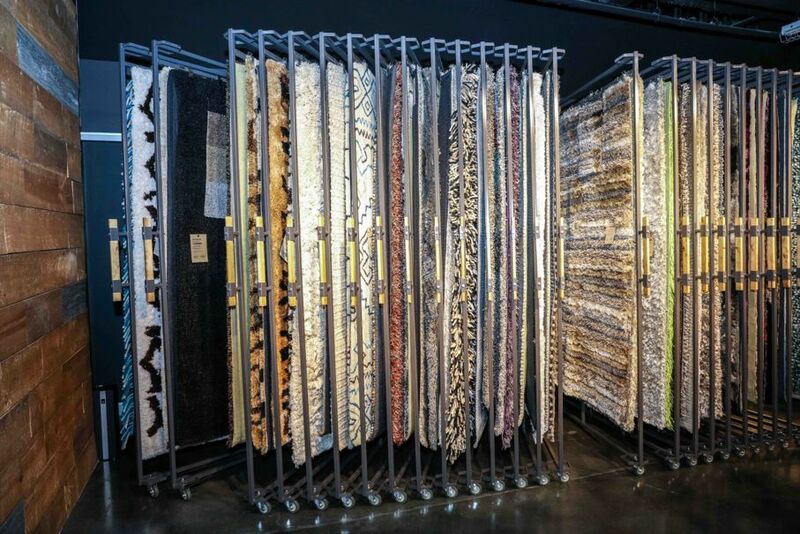 Another element that makes Chandra rugs stand out is that the company creates its own yarn (with the exception of polyesters) for use in the majority of its creations. 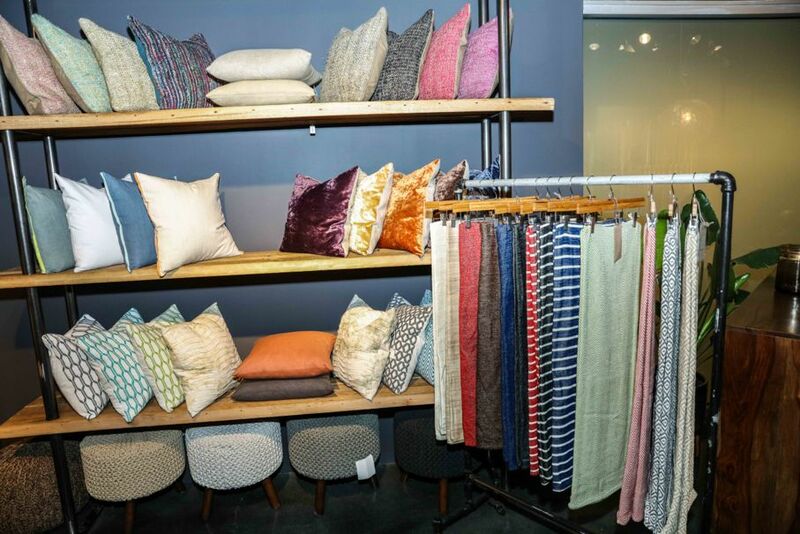 By making its own yarn, Chandra has control over the final product, which is often not the case when rug companies buy lots of yarn from yarn manufacturers, Tiwari said. “It helps with consistency, quality control, and it just looks finer,” he said of what happens when rugs are made of the best yarn. Using only the finest yarn helps keep the quality part of that mantra going strong. 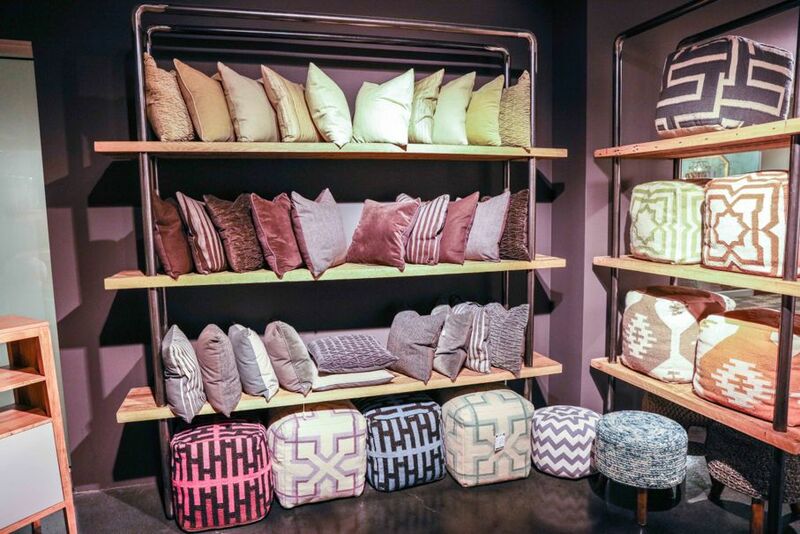 Tiwari explained that rug manufacturers that don’t start with their own yarn might get stuck with shorter pieces of yarn being glued together to achieve length. “What yarn companies will do is glue pieces together and make larger strands. It’s a bad thing,” he said. That’s because this practice doesn’t hold up as well in everyday use, according to Tiwari. “When you have white next to bright blue, if that bleeds, you’re done for,” he said. By contrast, Chandra strives for the natural feel and beautiful sheen that comes through when yarn is cared for properly and not stripped of all the oils it needs to look healthy. To make this happen Chandra has worked with generations of skilled artisans while shunning mass production by machine. 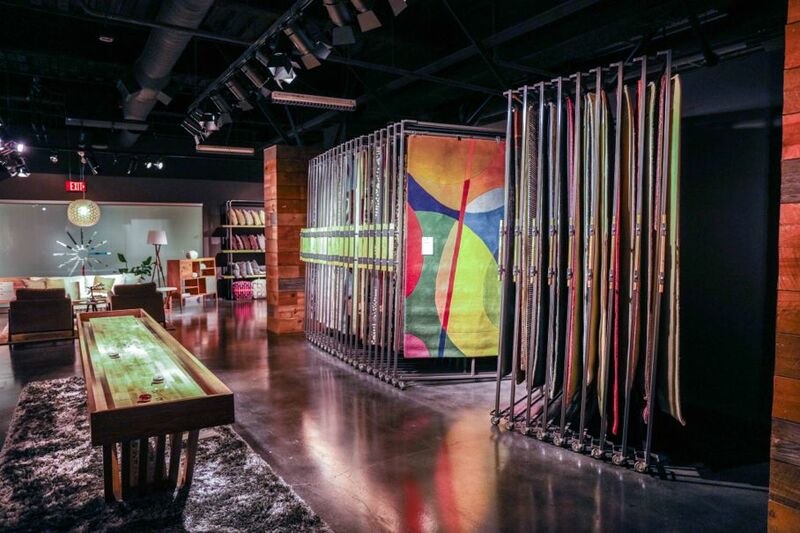 The goal of all this is to deliver to customers an authentic hand-crafted rug – something worthy of Chandra’s reputation as a company that started with founder Chandra Tiwari, a true groundbreaker in the rug industry.